DOLMEN spa, Italian tannery, reptile leather, pony leather, lasered leather and more. A pool of technicians is always on the job to find new solutions. From this continuous research new articles are created with their own particular features that make it unique and unmistakable. 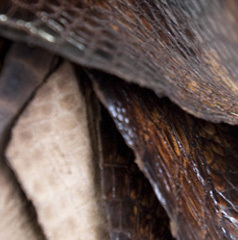 The working process is made almost completely in the tannery to grant the exclusivity of the ideas, from the creation of patended leathers to the long stylistic research of pony to the artistic hand made creation of reptiles. But very often the technology gives way to tradition, as for the tannage, which is made as in the past. Because at Dolmen we think that a faster work is to the detriment of quality. At the beginning the customers were only Italian, but with the success of "pony" and reptiles Dolmen's customers became international too. And we try to satisfy everyone's request: from the small company to the important international griffe that finds in Dolmen's materials the right inspiration for their own collections. Pony The top, treated with laser rays that fix on the skin wonderful patterns, result of peculiar researches from the lace to the old Florentine wefts. A leader product for the making the production of coats lined with minks, for bags, shoes and boots. Reptile skins Many factories produce reptile skins. 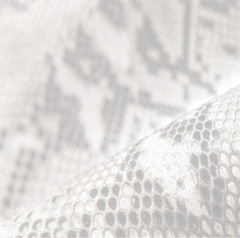 The reptiles produced by Dolmen are completely hand made. The colours are mixed with paint-brushes and pads, they melt each other to form a wonderful palette. Any drum-dyed skin, no industrial process. Patented leather Dolmen's most important system in the last years is to produce patented leathers with high technology using a sterile lab similar to an operating room by doing so, leather is obtaining a smooth and a perfect result like a "mirror" without defects. Chrome tanning is by far the most used. 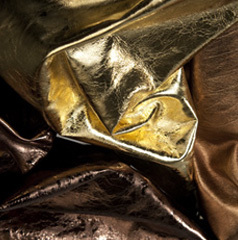 Chrome tanned leather can be used for a variety of uses (especially leather goods, clothing, furniture). The Dolmen's skins after this type of tanning are waterproof, soft and elastic to the touch, in addition the color remains unchanged over time. At the beginning the customers were only Italian, but with the success of "pony" and reptiles Dolmen's customers became international too. And we try to satisfy everyone's request: from the small company to the important international griffe that finds in Dolmen's materials the right inspiration for their own collections. 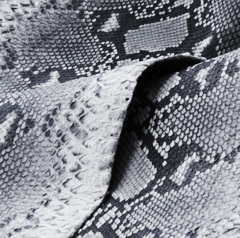 Tannery Dolmen Spa is the Italian leader for the manufacture, sale (retail wholesale e-commerce) and export of fine leathers: reptile skin, python, crocodile, pony, ostrich legs and patented leather for the production of luxury leather goods, clothing, footwear, bags, belts. Dolmen Spa implements a policy characterized by the very high level of handmade staining and finishing, primary ingredient to meet the high standards of luxury fashion leather sector. 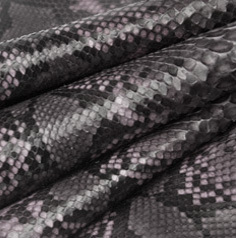 Our wide range of reptiles and pony items are the flagship for our tannery because they are different from the usual choice of skins on the market.